If You Had to be Religious, What Religion Would You Pick? 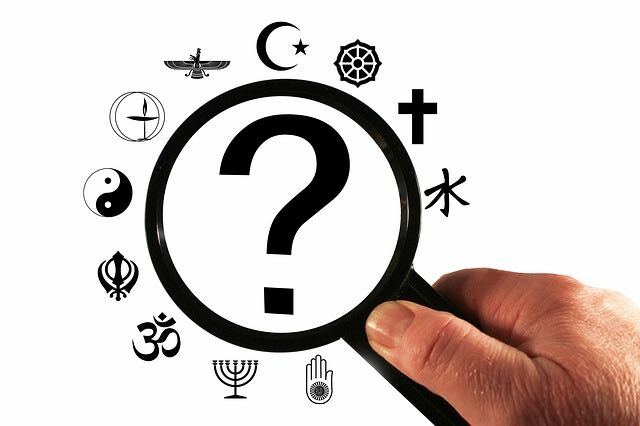 I know you are an atheist but if you had to have a religion, what religion would you choose? The Christian would sometimes word the question to focus more on what god I'd believe in instead of referring to a religion. My favorite variation was probably the addition of a gun to my head and the idea that I was being forced to pick a religion. Such a wonderful image! But all the versions I remember boiled down to the same thing: if I was going to be a religious believer, what religious belief system would I select? In the beginning, I assumed that the person asking the question was genuinely curious in my response. It would take me many rounds with many Christians to realize that this was rarely the case. I say that because most of the interactions I had with Christians around this question involved them rejecting whatever I'd say as unacceptable. Assuming I was facing the version of the question that asked about what religion I'd select, I'd usually start by trying to clarify whether the Christian counted humanism as a viable response. Not surprisingly, they never did. So if I couldn't be an atheist or a humanist, what would I be? I'd often respond by indicating that I'd probably be a Satanist (the more common type that does not believe in literal gods or a literal Satan). Since Satanism was recognized by some as a religion, I felt like this would be a bit closer to what the Christian was looking for. It wasn't. None of the Christians were willing to accept this answer. With atheism, humanism, and Satanism all rejected, I would sometimes try Unitarian Universalist. Nope. That one was deemed unacceptable too. After reaching this point in interactions with several Christians, I began to suspect that this question wasn't what I had thought it was about. These Christians didn't seem to want to hear any of my answers. "Fine. I'd probably be a Buddhist." I figured this response had a few advantages. First, nobody would claim that Buddhism was "not a real religion," which was exactly what most of these Christians had claimed about everything else I'd offered. Second, I had studied Buddhism enough to be reasonably confident that I knew more about it than most of the Christians coming at me with this question. Third, it was an honest response because there was much about Buddhism I'd always found appealing. If I was going to take up a religion, it would be high on my list. When Buddhism would inevitably be rejected too, I realized what was happening. This exercise was not about genuine curiosity on the part of these Christians; it was about trying to maneuver me into saying that I'd be a Christian. I'd guess this was a way for them to seek confirmation of their belief system. The problem was that in 2005, Christianity would be at the very bottom of my list. I'd select practically any other religion before it. Why? I was sufficiently familiar with it to know that I wanted no part of it. In fairness to the Christians who asked this question, it does make sense that if I had never been an atheist that I would probably be a Christian just because I had been a Christian previously. But that wasn't what they were going for. What these Christians seemed to be after was getting me to return to Christianity. That wasn't going to happen. Even today, it holds no appeal. Which Religion is the Worst? Why Do People Become Atheists? Copyright © Atheist Revolution, 2005-2019. All rights reserved. Powered by Blogger.